Content marketing must be one of the essential elements of your marketing mix. Unfortunately, far too many healthcare organizations don’t use content marketing effectively. In fact, the Content Marketing Institute has stated that healthcare organizations lag about two years behind other industries with regards to implementing successful content marketing strategies. This is both ironic and unfortunate, as modern healthcare consumers are clamoring for information. A survey conducted by Pew Research found that 80% of all Internet users have searched the Internet to find information about diseases and their treatment. When you have an effective content marketing plan in place, you are in a better position to capture a portion of that huge audience and drive them to your website. The same rationale behind content marketing applies to pay-per-click advertising. When healthcare consumers search the Internet for health-related information, they are using search engines to do so. Pay-Per-Click advertising puts your brand in front of their eyes, whether they click on your advertisement or not. However, pay-per-click may not be the best tactic for every organization. Depending on the search terms that work best for your organization, you’ll have to decide whether or not this way of reaching healthcare consumers is worth the expense. Testing a pay-per-click campaign with several hundred dollars is a good way to experiment and discover what search terms resonate with your audience, as well as what offers generate the most clicks. Another effective tip is to always earmark a portion of your budget for demand generation using targeted advertising. You’ve already identified your target persona, so reach out to them directly with an advertising campaign that speaks to their needs. If you are already using this tactic, continue to refine it. Because it is important to make every dollar count, consider getting the strategic assistance you need from Stratasan. From planning to execution, we offer fast, reliable, and in-depth intelligence about pertinent healthcare consumer populations in order to build effective campaigns with the highest probability of a favorable ROI. Because you know that a shotgun approach is wasteful, you can look to us for a micro-targeted marketing solution that gives you a deeper understanding of your target audience by block group and census tract. Many of our customers have experienced great success through advanced market segmentation. You can too. Social media is a revolutionary phenomenon that is here to stay. If you’ve only dabbled in social media, or stayed away from it altogether, it’s time to jump in with both feet. Getting up to speed in social media isn’t as difficult as it may seem. If you have been creating content, you are already prepared to get social. Let’s say that you are producing content on your blog. Now, all you have to do is repurpose that content by posting it on the social media platforms that fit into your overall marketing plan. And remember, it’s great to have a Facebook, LinkedIn, or Twitter account. But what is most important is that you engage the people who comment on your posts or share your information with others. That keeps the “social” in social media. We live in a mobile world. According to comScore, more than 178 million people in the U.S. owned a smartphone in 2014. That represents a market penetration of 73.6%. If you aren’t leveraging mobile devices then you are missing out on a significant opportunity to connect with your audience, a market that prefers to search, consume content, and engage with social media on their smartphones. This means that your website must be mobile friendly. It also means that you want to develop or refine your organization’s mobile app, considering nearly all smartphone owners use mobile apps to interact with individuals and businesses. Still not convinced that mobile is where you need to be? Consider this fact: The 2016 MM&M /Ogilvy CommonHealth Healthcare Marketers Trend Report states that the greatest growth for the pharmaceutical, diagnostics, biotech and medical device marketing budgets is taking place in social media, mobile/tablet apps, and digital sales materials. Healthcare consumers are increasingly mobile which means you must be too. While it can be intimidating to commit marketing dollars to trying something new, everything listed above has been proven over time to be worth the investment. 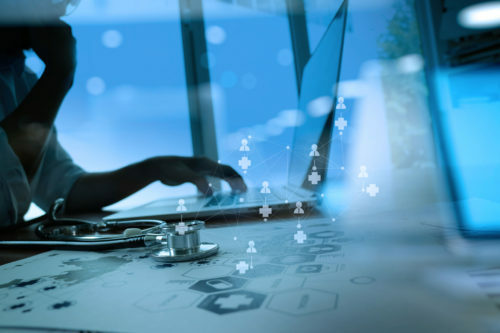 Just as the healthcare marketing landscape has been changing over the last few years, with the progress of technology and the increasing availability of information, these changes are projected to continue. To stay competitive and meet the needs of healthcare consumers, now is the time to evolve your marketing and add a few of these suggested programs into your marketing mix.